I have written over and over again about WP Engine, about Flywheel, and have investigated half a dozen other Managed WordPress hosting solutions. They all tend to be expensive, and that is prohibitive for many people, but for myself, if a system is rock solid, super fast and support is absolutely stellar, it’s worth it to me to use these services. I could easily host on a cheap server, run maintenance and security myself, and use one of the many caching plugins out there to achieve what these guys do — but it would take up my time, and while I’d still likely make a buck or two more with only slightly more headaches, I still believe it’s best to go with a managed WP hosting solution like one of the aforementioned folks. However, support just seems so lacking with all of them. Take a recent conversation with Flywheel support I had today. It tooks six minutes to get Drew here on the line, which isn’t ideal (WP Engine used to be instantaneous, but even they take a few minutes these days) but it’s certainly something I can live with. Hey there! How can I help you today? Hi Drew, I’m doing well how about yourself? Just wondering if you know if anything needs to be done to allow uploads to Local site in that app? Let me stop the conversation there for a moment. Within a moment he was able to send me a link to a blog post on how to add additional file types to WordPress. Which shows he didn’t even look at my screenshot, because if he had, he’d have seen that it was JPG and PNG files I was trying to upload. When tech support doesn’t even bother looking at a customer’s issue, that’s a massive problem. Linking to existing tutorials on other sites is just bad form, but not particularly uncommon I suppose. And I’ve already tried doing it programatically the same way I allow SVGs, etc. I’ll end our chat here, though I thanked him and said that would be okay, and haven’t heard back in 17 minutes as of now. The problem here is that this is not an update to WP 5.0.2. 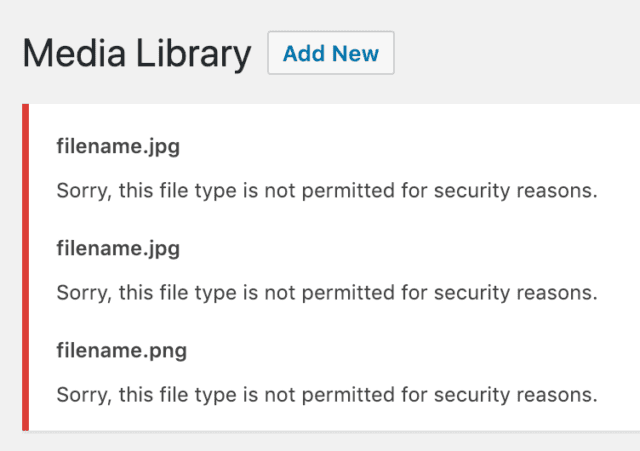 Yes, WordPress made file uploads and which mime types can be uploaded by default more strict…but they didn’t remove the ability to upload JPG and PNG files. That would be ludicrous. So again, instead of looking into my problem, he sent back what seems like some list of canned responses they must have readily available to copy and paste. I just need a host who can. Who can help me build my clients’ businesses. Who can resolve errors more quickly than days. Who just plain can. Like WP Engine, Flywheel just isn’t that host.